Clavamox -- a blend of clavulanic acid and amoxicillin -- is prescribed by veterinarians for treating various canine bacterial infections. These include those affecting the skin, bladder, respiratory system, mouth and bone. Together, the drugs can eradicate bacteria that amoxicillin itself can't kill. While most dogs tolerate the drug, some animals will experience side effects. If your dog develops side effects or has an allergic reaction after Clavamox administration, call your veterinarian immediately. Some dogs receiving Clavamox might experience appetite loss, diarrhea or vomiting, with the latter the most common side effect. Up to 10 percent of dogs given Clavamox might throw up after the initial dose. Dogs with kidney disease should not receive Clavamox. Pregnant or lactating dogs should not receive Clavamox. If you know your dog is allergic to penicillin, he shouldn't receive Clavamox. Signs of an allergic reaction include hives or breathing issues. 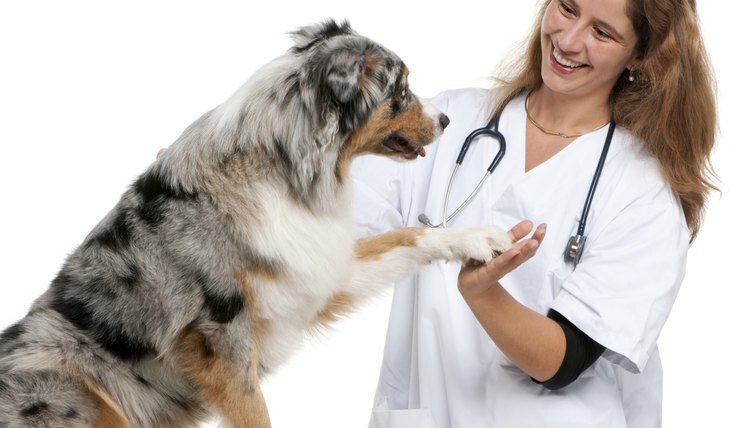 Tell your vet about any other medications or supplements your dog takes. Clavamox can interact with other antibiotics, including tetracycline and chloramphenicol.